St. Martin's Press, 9781250202079, 336pp. New York Times bestselling author Steven Kotler crafts a near-future thriller about the evolution of empathy. Hard to say when the human species fractured exactly. Harder to say when this new talent arrived. But Lion Zorn is the first of his kind—an empathy tracker, an emotional soothsayer, with a felt sense for the future of the we. In simpler terms, he can spot cultural shifts and trends before they happen. 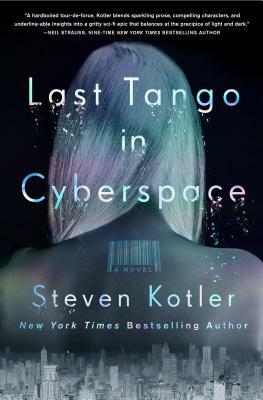 A unique blend of cutting-edge technology and traditional cyberpunk, Last Tango in Cyberspace explores hot topics like psychology, neuroscience, technology, as well as ecological and animal rights issues. The world created in Last Tango is based very closely on our world about five years from now, and all technology in the book either exists in labs or is rumored to exist. With its electrifying sentences, subtle humor, and an intriguing main character, readers are sure to find something that resonates with them in this groundbreaking cyberpunk science fiction thriller.